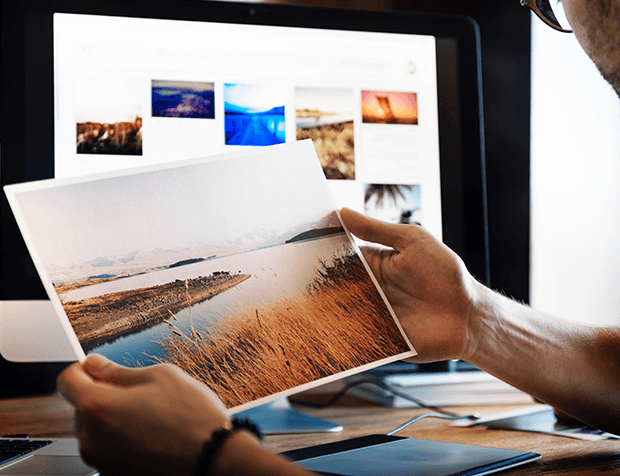 Our Vancouver, Coquitlam, & Langley digital photolabs produces high-quality prints on high-quality photo paper for rich, vivid colours that will last a lifetime. We take great pride in our high standards, and hire only well-trained and experienced trained photolab operators who maintain the lab in top condition to manufacturers' specifications. Our lab operators provide personalized service to ensure each individual photo meets our high photographic standards. We’ll produce the best possible photographs from your digital images, 35mm films, 120/220 films, APS films, slides, or prints. Vancouver: Our Noritsu Digital Photolab offers prints and enlargements up to 8"x24". Plus, we process film! Orders are usually done while you wait or usually within an hour. Time is subject to volume. (Note: we do not process E6 and B&W films on site). We also have the latest Epson wide-format printer offering custom poster enlargements on-site up to 24" x 48". Coquitlam: Noritsu Digital Photolab offers prints and enlargements up to 8"x24", while you wait or usually within an hour. Time is subject to volume. Langley: Noritsu Digital Photolab offers prints and enlargments up to 12x36, while you wait or usually within an hour. Time is subject to volume. Memory cards get lost or damaged. Computers can crash. Technology changes. Why keep your photos trapped Bring them new life with just a few clicks. PLEASE SEE IN-STORE FOR SERVICE AND DETAILS. colour film processing, pi film, slide & other services.